The Shoprite Group has trailblazed trading in Africa in many respects. Since kicking off its ambitious expansion into the continent in 1990, the South African grocery retailer now has its footprints firmly planted in over 460 locations across 14 African countries. 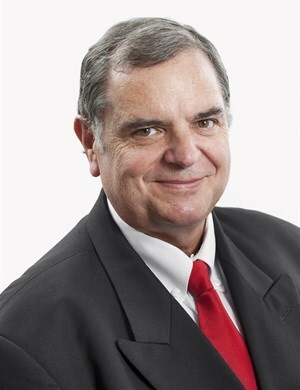 In light of #AfricaMonth, Gerhard Fritz, Shoprite's COO of non-RSA outlets, reflects on the highs, lows and learnings of the Group's more than the two-decade-long foray into Africa. Can you share some insight into the strategy behind Shoprite’s ambitious expansion on the African continent? We opened our first supermarket outside of South Africa in Windhoek, Namibia in 1990. In 1995 our first Zambian store was opened. We target countries that have real economic drivers – minerals, oils and tourism – sustaining economic activities. Outside of South Africa, we now have more than 460 outlets in 14 African countries, including Nigeria and Angola. We’re entering the Kenyan market later this year, a move we believe will strengthen our presence in East Africa. What do you believe are the main hurdles preventing/deterring SA retailers from setting up shop in other regions on the continent? The greatest obstacle is the rules and regulations governing inter-country trade. It’s easier to import goods from Europe than other African countries. One reason for this is that each country has its own bureau of standards and unlike in the European Union there is no uniformity regarding this. Also, there are no big manufacturing industries in Africa and a shortage of foreign currency in African countries. With the slowdown in the world economy, there is not much demand for raw materials like copper, diamonds and gold – minerals richly available in Africa. Furthermore, direct investment into Africa has slowed to a trickle as a result of a stronger American economy. That said, these hurdles do not deter us as and we’re committed to making further inroads into the African retail market. When operating in other markets, how much focus does Shoprite place on sourcing from local suppliers? We buy local as far as we can. In Zambia and Nigeria 80% of goods in our stores are sourced locally. We also run campaigns in African countries encouraging local suppliers to do business with us. In Uganda, it is 'Buy Uganda. Build Uganda' and in Nigeria we run the 'Made in Nigeria' campaign. 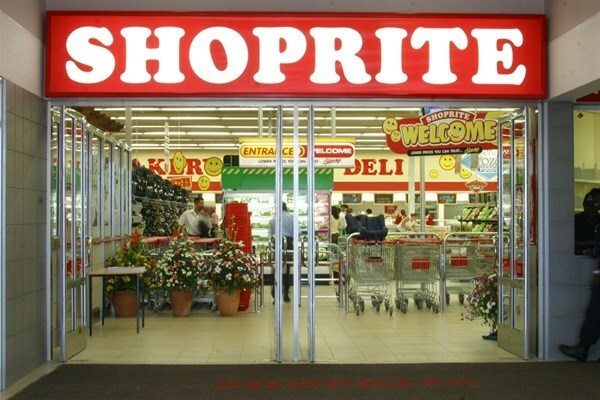 Which region has proved the most difficult for the Shoprite Group to penetrate? Penetration into the East African market has been very challenging. A lot depends on our success in Kenya. However, Uganda is showing some steady growth. We opened a new Shoprite store (our third) there last month. Another store opening is planned in the coming weeks with a fifth supermarket scheduled to open its doors before the end of the year. Shoprite was the first retailer to introduce countries such as Nigeria and Angola to world-class shopping, whilst in the East African countries there are already established supermarket chains, so competition is stiff. At this point in time, which market outside SA would you say holds the most promise for the Shoprite Group, and why? North African countries hold the most promise. However, those are also the countries with the closest ties to Europe. Even though Shoprite’s had a presence in Nigeria and Angola for 12 and 15 years respectively, these countries still have a lot to offer the retail sector. Shoprite was the first South African retailer in the Democratic Republic of Congo in 2012 and we still only have one store there – the ongoing conflict in the country has limited our growth. What have been your key lessons learned from doing business in Africa? Perseverance and flexibility are key to success in Africa. Doing business in Africa is expensive and there is no immediate return on investment. The business environment is also constantly changing, so the ability to adapt quickly is critical. African markets are in the process of formalising and we are welcomed by local governments because we pay taxes, create employment and facilitate the development of the local people. That is certainly one of our biggest achievements: creating opportunities for career development where we trade. This one cannot measure in profit, but it is wonderful to see people and their countries develop.